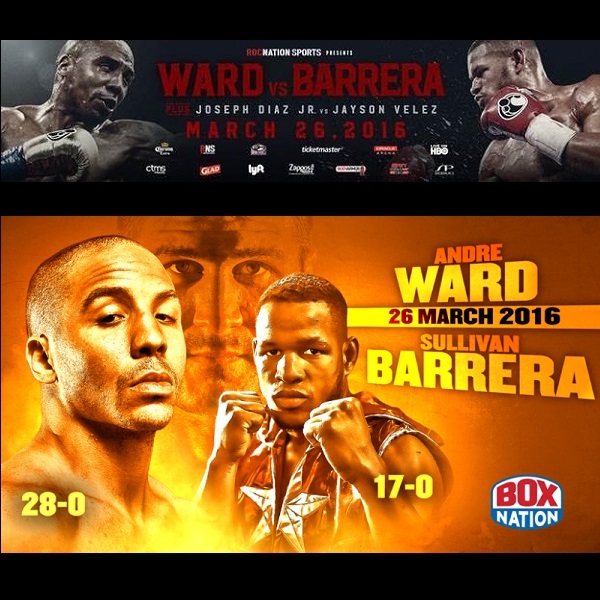 On this edition of No Holds Barred, host Eddie Goldman previews the March 26 fight between Andre Ward and Sullivan Barrera. Still one of the top pound-for-pound fighters in the world, the 32-year-old Ward (28-0, 15 KOs) will face a fellow undefeated fighter, the 34-year-old Sullivan Barrera (17-0, 12 KOs), who is originally from Cuba. This light heavyweight fight takes place Saturday, March 26, at the Oracle Arena in Oakland, California, which is Ward's hometown. It will be televised live in the U.S. on HBO and live in the U.K. on BoxNation. The winner is in line to get a title shot later this year against the consensus best light heavyweight in boxing today, the WBA/IBF/WBO champion Sergey Kovalev (29-0-1, 26 KOs). We spoke with Andre Ward and Sullivan Barrera, as well as Abel Sanchez, who trains Barrera, on recent media conference calls. Ward promised that he is "prepared for war." Barrera, unbeaten like Ward but not as well known or having faced a fighter of Ward's caliber, said that up until now "I haven't had the opportunity" to demonstrate that he is a great boxer.